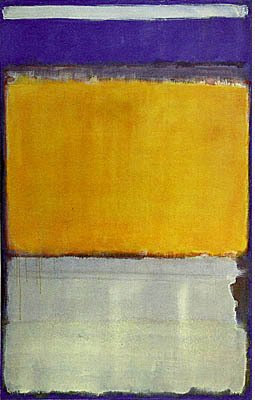 As we head into another week of trading, I wanted to share with you another painting of an artist I enjoy, Mark Rothko. There is something simple yet elegant about his paintings. Seriously. When we are thinking about profits, cash flow, momentum, or federal reserve rates of interest, it is nice to come back to a simpler world of color size and proportion. Wishing all of you a wonderful week! Hello Friends! Thanks so much for stopping by. I hope that your Thanksgiving went well and that you did not eat as much of the stuffing and cranberries as I did! What I like to do on weekends around here is to look back about a year and see how the selections that were posted on this blog, Stock Picks Bob's Advice have performed since they were listed. Currently, I am up to the week of October 13, 2003, having reviewed October 6, 2003, last week. The performance of the selections assumes a buy and hold strategy. I do NOT currently use a buy and hold approach in my own Trading Portfolio. As you may read elsewhere, I sell a stock if it drops 8% and sell at other points if the stock appreciates. However, for the sake of illustration, I review the picks and see what has happened to them since posting. As always, please remember that I am an AMATEUR investor, so PLEASE consult with your professional investment advisors prior to making any investment decisions based on information on this website to make sure such decisions are appropriate, timely, and likely to be profitable for you! If you have any questions or comments about this or anything else on the website, please feel free to email me at bobsadviceforstocks@lycos.com . On October 13, 2003, I posted International Game Technology (IGT) on Stock Picks at $30.17. IGT closed on 11/26/04 at $35.51 for a gain of $5.34 or 17.7%. On November 2, 2004, IGT reported 4th quarter 2004 results. Revenue for the quarter increased to $621.7 million from $547.5 million the prior year. However, net income declined to %54.3 million from $108.3 million the prior year, and on a fully diluted basis, this came out to $.15/share in 2004, vs $.31/share in 2003. Overall, I like increasing revenue, but prefer to see increasing earnings in line with it! On October 14, 2003, I posted BioLase (BLTI) on Stock Picks at a price of $13.47. BLTI closed on 11/26/04 at $8.95 for a loss of $(4.52) or (35.6)%. On October 27, 2004, BLTI announced 3rd quarter 2004 results. For the quarter ended September 30, 2004, net sales came in at $12.0 million down from $13.5 million for the same period in 2003. Net loss for the third quarter was ($1.2) million or ($.05)/diluted share compared with net income last year of $2.6 million or $.11/diluted share. This reduction of sales, along with a shift to a loss from a profit explains the dismal performance of the stock! I posted aQuantive (AQNT) on Stock Picks on 10/14/03 at a price of $13.34. AQNT closed on 11/26/04 at $8.55 for a loss of ($4.79) or (35.9)%. On November 4, 2004, AQNT reported 3rd quarter 2004 results. Revenue was up 201% to $46.7 million. Net income for the quarter was $3.5 million or $.05/share, compared with $3.9 million or $.06/diluted share in 2003. Thus, in spite of the 200% increase in revenue, earnings were actually DOWN 16%. Not exactly my cup of tea. In addition, AQNT LOWERED guidance for the following quarter and fiscal 2004 in the same announcement. As you may know, INCREASED guidance is a key to stock appreciation. Thus, the mediocre stock performance, imho. On October 16, 2003, I posted Pharmaceutical Product Development (PPDI) on Stock Picks at a price of $29.16. PPDI closed at $42.84 on 11/26/04 for a gain of $13.68 or 46.9%. On October 13, 2004, PPDI reported 3rd quarter 2004 results. Net revenue for the quarter was up 20.2% over net revenue of $179.5 million for the same quarter in 2003. Earnings per diluted share were unchanged at $.44/share both year, but in 2003 included effects of gain on sale of assets, and other items, totalling $.03/share, thus this year's result was a little better than reported on closer examination. Overall, this appears to be a solid report, and the stock price has reflected it. Finally, on October 17, 2003, I posted Image Sensing Systems (ISNS) on Stock Picks at $10.00/share. ISNS closed at $13.92 on 11/26/04 for a gain of $3.92 or 39.2% since the posting. On October 20, 2004, ISNS reported 3rd quarter 2004 results. Revenue for the quarter came in at $3.08 million, up from $2.67 million last year. Earnings per diluted share came in at $.26/share, up from $.19/diluted share the prior year. These were solid results and the stock price has also performed in line with this. So how did we do? For the week of October 13, 2003, I had two losing stocks: BLTI, and AQNT, and three gainers: IGT, PPDI, ISNS. An average of the performance for the five results in an average gain of 6.5%. Nothing much to write home about I guess, but at least a gain for the year! So thanks again for stopping by! 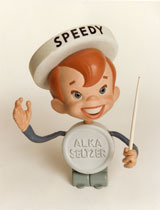 As a thought for all of that holiday overeating we all seem to do, I offer you Speedy, that famous Alka Seltzer fellow who has disappeared from modern culture but who was a great childhood "friend" of mine! Whatever happened to all of those great icons? If you have any questions, comments, or words of encouragement, please feel free to leave them right here on the blog under "comments" or email me at bobsadviceforstocks@lycos.com . Good-luck with all of your holiday shopping and have a safe and healthy weekend! O.K. so it is Black Friday today. This is the day my wife looks forward to getting out early to join the mobs of shoppers at the stores to buy things at big discounts. I was giving her a hard time about this last night and when I awoke this morning to head off to work, she was still sleeping. Feeling a bit guilty, I woke her up to tell her it was already 7:15, she rushed off to head to the mall, and I was feeling a little less guilty about trying to deprive her of a simple joy in life: the excitement of getting a bargain! Well thanks for stopping by my blog, Stock Picks Bob's Advice. As you know if you are a regular reader here, I am an amateur investor and you really DO need to discuss all of my stock ideas with your professional investment advisor to make sure they are appropriate, likely to be profitable, and timely for your investment purposes. I cannot be responsible for your losses, and likewise, cannot claim any credit for your gains! If you have any questions, comments, or words of encouragement, please feel free to email me at bobsadviceforstocks@lycos.com . 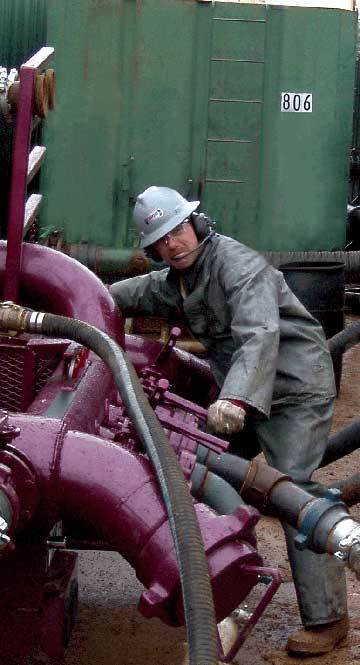 With crude for January delivery hitting $49.44 on Wednesday, 11/24/04, (see story), it is no wonder that the market is looking towards oil and oil service companies for leadership. Today RPC (RES) made the list of top % gainers on the NYSE, closing at $27.07, up $2.67 for the day or 10.95%. I do NOT own any shares of RES, nor do I own any options. According to the CNN.money "Snapshot", RPC's "...principal activity is to provide oilfield services and equipment to oil and gas companies engaged in the exploration, production and development of oil and gas properties." Sounds a little like our Cal Dive, which I DO have in my trading portfolio! On October 27, 2004, RPC reported 3rd quarter 2004 results. For the quarter ended September 30, 2004, revenues climbed 28.1% to $88.7 million from $69.2 million last year. Net income came in at $10.2 million or $.35/diluted share compared with $2.6 million or $.09/diluted share the prior year. These were great results! How about longer-term? Taking a look at the "5-Yr Restated" Financials on Morningstar.com, we can see that revenue has been a bit erratic longer-term but has increased from $107.6 million in 1999 to $304.4 million in the trailing twelve months. Earnings have also been a bit erratic, with $.29/share in 1999, increasing to $1.06 in 2000, dropping to a loss of $(.19)/share in 2002, and increasing steadily since then to the current $.67/share in the trailing twelve months. The company has been paying a dividend and this has increased from $.10/share in 2003, to $.11/share in the TTM. Free cash flow has remained positive as the company has continued to invest substantial amounts into capital spending. $9 million free cash flow reported in the trailing twelve months. The balance sheet on Morningstar.com shows $12.5 million in cash and $90.7 million in other current assets. This is more than enough to cover both the current assets of $37.6 million AND the long-term liabilities of $37.1 million. How about "valuation"? If we use $500 million as a lower cut-off for mid-cap stocks, then we can describe this company as mid-cap with a market capitalization of $778.75 million. The trailing p/e is 29.11, and the forward p/e is 20.05. No PEG is noted on Yahoo, and the Price/Sales is 2.17. Yahoo reports 28.77 million shares outstanding with only 9.70 million of them that float. Of these, only 206,000 shares are out short (11/8/04) representing only 2.12% of the float or 3.377 trading days. IMHO, the short interest is not a big factor in this stock. As noted, the company DOES pay a small dividend, with $.12/share reported on Yahoo, representing a yield of 0.49%. The last stock split reported by Yahoo was a 2:1 split in December, 1997. So how about "Technicals"? If we look at a Point & Figure Chart from Stockcharts.com, we can see that this stock was essentially trading sideways between 2000 and 2003, when it appeared to hit several support levels around $8.50, and reach resistance at around $16.00/share. After bouncing off a support level at around $9.00/share in September, 2003, the stock has steadily traded higher breaking past prior resistance levels to a current price of around $27.00/share. The chart looks strong, if a bit currently over-extended in my humble opinion. So what do I think? Well, the stock is moving ahead nicely today in the face of a strong oil market and a great profit picture. Their five year record is erratic, showing the cyclical nature of this business, which is a bit of a concern to me. The oil price may determine the future performance of this issue. Their earnings have been improving the last several years, they are paying an increasing dividend, their valuation isn't bad in light of the spectacular growth just reported, and the graph doesn't look too bad to me at all. I guess if you wanted to have some exposure to the energy field, this might be an interesting investment to consider. As for me, I don't have any available cash to invest, otherwise I would certainly take a look at this one. I am waiting to sell a portion of my stock holding at a profit before adding a new position! Thanks so much for stopping by and please email me if you have any questions or comments, or go ahead and post your comments right under each message right here on the blog! p.s. I hope you all found that bargain you were looking for today! 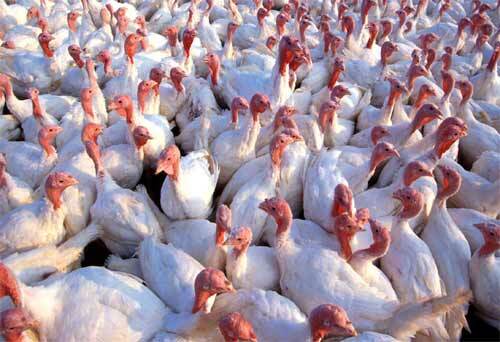 Give thanks that you are not a turkey! Happy Thanksgiving everyone! Thanks for visiting my blog, Stock Picks Bob's Advice! 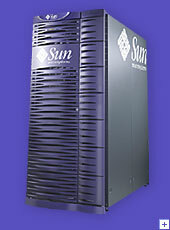 A Reader Writes "What About Sun Microsystems?" Hello Friends! Thanks for stopping by my blog, Stock Picks Bob's Advice. Please remember that I am an amateur investor so please do your own investigation of all stocks discussed on this website, and consult with your professional investment advisors before making any investment decisions based on information here. If you have questions, or comments, please feel free to email me at bobsadviceforstocks@lycos.com . Well Jeff, thanks so much for writing. I am sure you have read the disclaimer all over this blog, and I have to tell you it is true. I AM an amateur investor, and thus cannot tell you whether Sun Microsystems (SUNW) would be a good investment for you to make or not. In fact, I cannot tell you whether the stock will be appreciating in price in the near future or not....all I can tell you is whether it fits into my strategy of investing. In other words, there are many ways to invest successfully in the market. My particular strategy involves momentum, both earnings and price, with a look at underlying fundamental issues. The investment in SUNW is more of a "turn-around" or contrarian "value" investment style, looking for stocks that are deeply undervalued which might have rapid appreciation in the future. That is a great strategy, but that is not what I do around here. I look for stocks that are already doing well, with nice same day percentage gains, great recent quarterly results, a nice Morningstar report, and a reasonable stock chart. Hopefully, my approach will be successful, but it is in no means to imply that there might not be better strategies that might be more successful in selecting stocks. Well, that being said, let's take a look at SUNW and see what we come up with! SUNW closed today, 11/24/04, at $5.21, up $.03 or 0.58% on the day. Taking a look for the most recent earnings report, I found that on Yahoo, Sun reported 1st quarter 2005 results on October 14, 2004. For the 1st quarter ended September 26, 2005, revenue came in at $2.628 billion, a 3.6% increase over the first quarter in 2004 fiscal year. Net LOSS for the first quarter came in at $(174) million or $(.05)/share compared with a net loss of $(286) million or $(.09)/share the prior year same quarter. So the revenue is growing sequentially and the loss is shrinking, so things are improving somewhat. How about longer-term? For that I like to turn to the Morningstar.com "5-Yr Restated" financials which show that first, revenue hit a peak of $18.2 billion in 2001, and has been decreasing each year until 2004 when it came in at $11.185 billion. Apparently the last two quarters are showing signs of a turn-around which is positive. However, when I pick stocks for this blog, I avoid stocks that haven't been steadily increasing revenue the last five years. Also on Morningstar, we can see that earnings were greatest in 2000 at $.55/share, and have been decreasing into losses with a bottom in 2003 at $(1.07)/share. 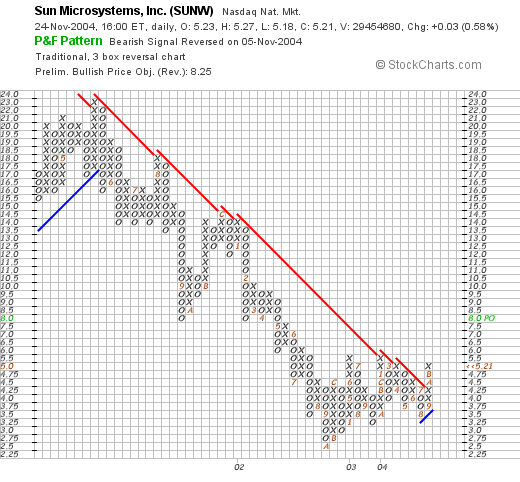 2004 was a little less bad with a loss of $(.12)/share and apparently the turn-around continues at SUNW. How about free cash flow? Well this looks superb with $321 million in 2002, $664 million in 2003, and $2.0 billion in 2004. This means that the financials are likely improving and that the growing cash will provide some flexibility for the SUNW management. However, remember that they are still losing money at least in the earnings department. Balance sheet? Appears adequate with $3.6 billion in cash and $3.7 billion in other current assets, compared with a significant $5.1 billion in current liabilities, and a $3.0 billion in long-term liabilities. Financially the company appears to be on solid footing. Here we can see that this stock peaked in May, 2001, at $23.00/share and has headed steadily lower. Recently, in what appears to be mid-September, 2004, the stock broke through a resistance level and has headed higher to its current level of $5.21. Quite frankly, in the short fun, this stock does look like it has been bottoming from its $2.50 low in October, 2002, and now may well be heading higher. What do I think? Well this does not fit into the stock profile that I have been looking for here on Stock Picks. However, the recent earnings report shows improvement with slowly increasing revenue, and decreasing losses, and the balance sheet/free cash flow looks fine. I don't like the multi-year history of decreasing revenue, the persistent losses, and the "turn-around" nature of this investment. That is just not my style. However, if you like that kind of thing, this might be your cup of tea. No telling really! Good luck and keep me posted! Thanks again for stopping by! I hope that review of SUNW was helpful for you! Regards and have a Happy Thanksgiving! Hello Friends! Thanks as always for stopping by my blog, Stock Picks Bob's Advice. As I always like to remind you, I am an amateur investor, so please consult with your investment advisors before making any investment decisions based on information on this website. If you have any comments or questions, please feel free to email me at bobsadviceforstocks@lycos.com . 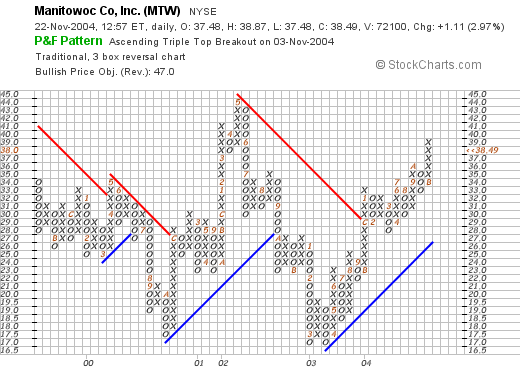 I came across Manitowoc Co. (MTW) this morning when it was on the list of top % gainers, but as I write it has pulled back a little and is trading at $38.29, up $.91 or 2.43% on the day. It doesn't make the cut as I write, but I like what I saw earlier and would like to share it with you! I do not own any shares or options on this company. According to the Yahoo "profile", MTW "...is a diversified industrial manufacturer with three operating segments: Cranes and Related Products, Foodservice Equipment and Marine." Personally, I have seen the name mostly on ice machines (!) 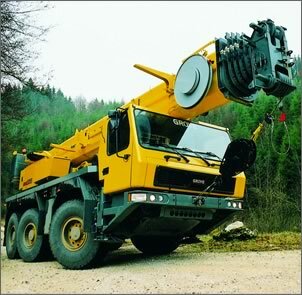 but they are active in industrial ship-building and cranes as well! On October 27, 2004, Manitowoc announced 3rd quarter 2004 results. For the quarter, sales rose 21% to $491.1 million from $407.2 million last year. They earned $12.7 million, or $.47/share, a 77% increase from the $7.2 million or $.27/share last year. As strong as this was, this was still a penny below expectations! How about longer-term? Taking a look at the "5-Yr Restated" financials on Morningstar.com, we can see that revenue has grown steadily, and impressively, from $680 million in 1999 to $1.8 billion in the trailing twelve months (TTM). Earnings, however, have been erratic, dropping from $2.55/share in 1999 to a loss of $(.80)/share in 2002, but have been improving since then to $1.23/share in the trailing twelve months. Dividends have also been erratic, increasing from $.30/share in 1999 to $.63/share in 2002, but dropping the next year down to $.28/share where it stands now. Free cash flow has been strong at $78 million in 2001, hitting $119 million in 2003, and still at $79 million in the TTM. The balance sheet looks adequate if not spectacultar with $49.2 million in cash, and $700.7 million in other current assets, plenty to cover the current liabilities of $603.5 million, and to start to make a small dent in the $790.7 million in long-term liabilities. How about valuation questions? Looking at Yahoo "Key Statistics", we find that the market cap is a mid-cap sized $1.03 Billion. The trailing p/e is a moderate 27.52, but the forward p/e is a very reasonable 14.62 (fye 31-Dec-05), giving us a PEG of 0.83, which is very reasonable imho, and a Price/Sales of 0.55...also under 1.0. Yahoo reports 26.86 million shares outstanding with 21.90 million of them that float. Of these 957,000 shares are out short, representing 4.37% of the float, as of 10/8/04. This is lower than last months 1.27 million shares out short so about 20% of the short-sellers have thrown in the proverbial "towel" on the downward movement of this stock. The shares out short are significant representing 7.362 trading days which is also bullish for the stock (imho) if we use the 3 day rule I have started to apply. Yahoo shows that the company still pays the small dividend of $.28 yielding .75%. The last stock split reported was a 3:2 in April, 1999. We can see that the stock has really been trading sideways since 1999 when it initially declined to a low of around $17/share in October, 2000, climbed to a high of $45/share in May, 2002, then declined once again to a low of around $17 where it bottomed twice in March, 2003. Since that time the stock broke through a resistance level at around $30 in August, 2003, and has been trading higher since. The graph, in my humble opinion, looks strong, but not overpriced! So what do I think? Well let's review, first the latest quarterly report looks strong, the five year revenue growth is excellent but the earnings and dividend record are erratic, although they look strong the last few years. Valuation is terrific with a PEG under 1.0 as is the Price/Sales. There are even a significant number of short sellers out there who need to cover their negative "bets". The graph looks nice as well. Frankly, this is my kind of stock....now if I just had a sale that would allow me to pick up some shares...but I shall be waiting to sell a portion of one of my holdings at a gain before adding a new position. I AM close with VMSI and a second sale of AMMD is not out of the question! Thanks so much for stopping by! I hope that this discussion helps you frame some of your own investment decisions in a manner that is relatively easily understood. If you have any questions or comments, please feel free to email me at bobsadviceforstocks@lycos.com . Hello Friends! As we start another week, I want to wish all of you the best. 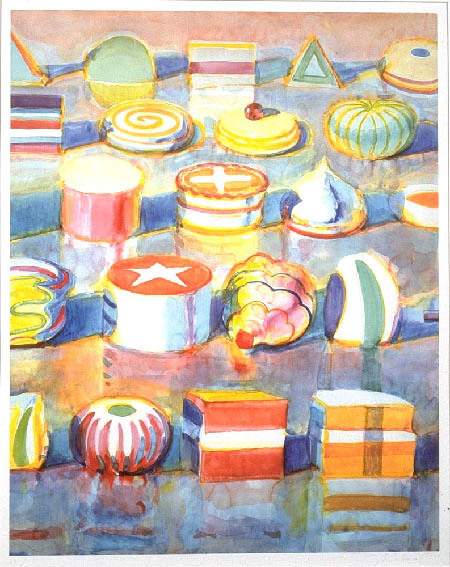 I also wanted to share another painting by one of my all-time favorite painters, Wayne Thiebaud. He is a California artist who I much admire and you can see all of the fun and whimsy in his creations. Doesn't it just want to make you smile? With all of my warmest wishes for a Happy Thanksgiving! Hello Friends! Thanks so much for stopping by. I appreciate your visits, your messages and emails, for all of you who come by and participate here make it all worthwhile for me! So make yourself at home here at Stock Picks Bob's Advice. Always remember that I am an amateur investor, so please consult with your professional investment advisors and do your own investigation of all stocks discussed here to make sure they are appropriate, timely, and likely to be profitable for you! If you have any questions or comments, please feel free to email me at bobsadviceforstocks@lycos.com . Another week has come and gone. It appears that a lot of our post-election investment "euphoria" has now evaporated and we are faced with the more serious prospects of a weak dollar, high oil prices, and government debt that threatens the financial solvency of this government as we find out elected officials raising the debt limit by $800 billion. As I read one internet poster write, "I wish I could do THAT with my credit cards!" In addition, the American course in Iraq appears as difficult as ever as the evidence for a quick suppression of the violent insurgency is appearing more distant. Well enough for the doom and gloom! Let's take a look at what I was writing here a little over a year ago. The weekend is the time I like to review the past stock picks from a year or so ago. Our discussion infers a "buy and hold" investment strategy. In reality, I employ a buy and "sell quickly on an 8% loss" and "sell slowly as the stock appreciates" so actual performance would differ from our analysis. But it helps to check those stocks in any case! On October 6, 2003, I posted Fargo (FRGO) on Stock Picks at a price of $14.82. FRGO closed at $14.42 on 11/19/04 for a loss of $(.40) or (2.7)%. On October 19, 2004, FRGO reported 3rd quarter 2004 results. Net sales came in at $19.6 million, up from $17.1 million the prior year. Net income was $2.3 million or $.18/share, compared with $2.5 million or $.19/share the prior year. The revenue growth was nice, but I prefer to see earnings growth as well! I posted InterParfums (IPAR) on Stock Picks on 10/6/03 at a price of $10.98. IPAR closed at $15.10 on 11/19/04 for a gain of $4.12 or 37.5%. IPAR reported 3rd quarter 2004 results on 11/10/04. During the quarter, sales rose 17% to $67.1 million from $57.4 million a year ago. (Adjusting for currency fluctuations, the growth was only 11% but still strong!) Net income declined 14% to $4 million from $4.7 million, diluted eps was $.20/share compared with $.23/share last year. Again, we have a report with growing revenue but declining earnings. The overall stock performance has been solid from a year ago, but the latest report gives me some concern, imho. On October 7, 2003, I posted CVS Corp. (CVS) on Stock Picks at a price of $33.57. CVS closed at $45.80 on 11/19/04 for a gain of $12.23 or 36.4%. On November 4, 2004, CVS reported 3rd quarter 2004 results. Net sales for the quarter ended 10/2/04 increased 24% to $7.91 billion from $6.38 billion. Same store sales for the quarter grew 5.2%. This was led by "front-end" same store sales increased 1.8% with pharmacy same store sales increasing 6.8%. However, net earnings for the quarter decreased 1.7% to $184.6 million or $.44/diluted share compared with net earnings of $187.8 million or $.46/diluted share last year. However, $.07 of this decline was due to the Eckerd qcquisition. The company is bullish about the rest of the year and raised guidance for 2004. A solid earnings report and an increased guidance are two elements for solid stock price appreciation in my humble opinion! 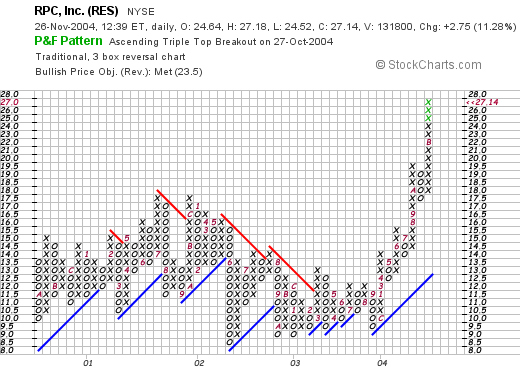 On October 7, 2003, I picked Regis Corp. (RGS) for Stock Picks at a price of $35.17. RGS closed at $45.30 on 11/19/04 for a gain of $10.13 or 28.8%. RGS reported 1st quarter 2005 results on October 27, 2004. Consolidated revenues increased 10% to $506 million from $461 million last year. Same store sales increased 0.9%. First quarter net income edged up 2% to $25.5 million or $.55/diluted share. Regis pointed out that hurricane disruptions dropped revenue in the quarter by $4 million. These results were positive, the stock is holding its price well, but I like to see stronger revenue and earnings growth in the companies we hold! On October 8, 2003, I posted Ceradyne (CRDN) on Stock Picks at a price of $30.50. CRDN split 3:2 on 4/8/04 and oour resultant selection price was actually $20.34. CRDN closed at $47.63 for a gain of $27.29 or 134.2%. On October 9, 2003, I posted NetGear (NTGR) on Stock Picks at $17.88/share. NTGR closed on 11/19/04 at $15.62/share for a loss of $(2.26) or (12.6)%. On October 28, 2004, NTGR reported 3rd quarter 2004 results. Net revenue for the quarter increased 34% to $101.2 million compared with $75.8 million for the same quarter ended September 28, 2003. GAAP net income was $5.9 million or $.18/diluted share compared to a net loss of $(4.0) million or $(.15)/diluted share last year. This was a strong quarter overall, but the stock price is a bit behind where I selected this stock for this blog! Finally, on October 10, 2003, I posted Infosys Technologies Ltd (ADR) (INFY) on Stock Picks at $77.40. INFY split 2:1 on 7/7/04, so our effective pick price was actually $38.70. INFY closed on 11/19/04 at $65.51 for a gain of $26.81/share or 69.3%. On October 12, 2004, Infosys announced quarterly results. For the quarter ended September 30, 2004, revenues came in at $379 million, up 51% from the corresponding quarter last year. Earnings were up almost 50% from $.25/share to $.36/share this year. These were great results! More recently, Microsoft announced a partnership with Infosys as well as with WIPRO, another Stock Picks selection. So how did we do the week of October 6, 2003 in picking stocks? Well, of our seven selections, there were two losses: (2.7)% loss with Fargo, and a (12.6)% loss with NetGear, and five gains ranging from a 28.8% gain with Regis, and a fabulous 134.2% gain with Ceradyne. The average gain for the seven stocks was an average gain of 41.6%. THAT was a FABULOUS performance. I only wished I OWNED those stocks! PLEASE remember that past performance is NO guarantee of future stock price performance, and that I am an amateur investor so PLEASE consult with your professional investment advisors prior to making any investment decisions based on information from this website. Again, I thank you for stopping by and wish you the best for the rest of the weekend and the upcoming Thanksgiving holiday! If you have any comments, questions, or words of encouragement, please feel free to email me at bobsadviceforstocks@lycos.com . Hello Friends! Well it is another Thursday and another set of stocks to review. I hope you are all well and preparing yourself for Thanksgiving. As for me, I shall try to go a little easier on the stuffing this year. I have all the stuffing I need :). Thanks so much for stopping by my blog, Stock Picks Bob's Advice. Please remember I am an amateur investor, so please do your own investigation on all stocks discussed and consult with your professional investment advisors to make sure that all stocks you select are appropriate, timely, and likely to be profitable for you! If you have any comments, questions, or would like to share with our readers your own thoughts on investing, please email me at bobsadviceforstocks@lycos.com or you can always click on the links below each post to leave your message. 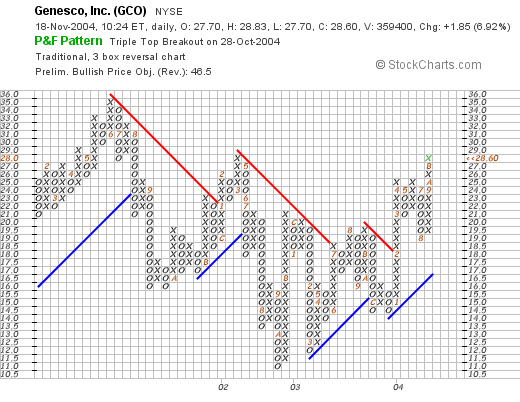 I came across Genesco (GCO) this morning while scanning the list of top % gainers on the NYSE. I do not own any shares or options on this stock. 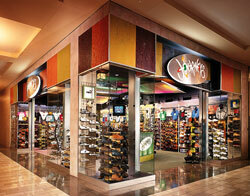 According to the Yahoo "Profile", GCO "...is a retailer and wholesaler of branded footwear. 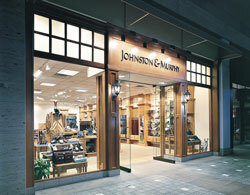 The company operates four business segments: Journeys, consisting of Journeys and Journeys Kidz retail footwear chains; Underground Station?Jarman Group, consisting of the Underground Station and Jarman retail footwear chains; Johnston and Murphy, composed of Johnston and Murphy retail operations and whole sale distribution, and Dockers Footwear." 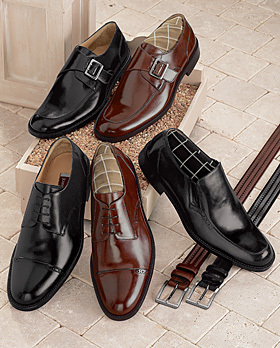 I recall Genesco from years ago when my father, who was the one instrumental in getting me interested in stocks, told me about this shoe company. I don't remember much about what he said, except he was impressed by the management. Anyhow, GCO is having a nice day today, trading at $28.35, up $1.60 on the day or 5.98% in an otherwise lackluster trading session this morning. Like so many stocks on this blog, what pushed this stock higher was the announcement of 3rd quarter earnings. Net income rose to $12.1 million or $.54/share up from $9.4 million or $.42/share a year ago. Genesco also raised guidance for future sales and earnings. This was a bullish report! In a slightly more recent report, GCO detailed their revenue and reported that sales jumped 36% during the quarter. How about longer-term? Is this earnings and revenue growth a fluke? I believe it is the consistency in earnings and revenue growth that is the best prognosticator of an outstanding price appreciation in an investment. For this information, I like to turn to the "5-Yr Restated" Financials on Morningstar.com. Here we can see clearly illustrated the consistent growth in revenue from $553.0 million in 2000 to $837.4 million in 2004 and $936.6 million in revenue in the trailing twelve months (TTM). Earnings have been less consistent, but have improved from $1.05 in 2000 to $1.66/share in the trailing twelve months. Free cash flow which was a negative $(12) million in 2002, improved to $49 million in 2004, and has stayed positive at $20 million in the TTM. The balance sheet is solid, with $15.3 million in cash and $305.2 million in other current assets compared with $169.5 million in current liabilities and $239.7 million in long-term liabilities. What about valuation issues? First, using the Ameritrade definition of market capitalization, which places mid cap stocks between $500 million and $3 billion in market cap, this stock just makes the cut for a mid cap stock with a market cap of $640.16 million. The trailing p/e is nice at 17.24 (imho), and the forward p/e is nicer at 14.03. Yahoo reports only 22.04 million shares outstanding with 19.40 million of them that float. There are 2.0 million shares out short as of 10/8/04, representing 10.31% of the float or 9.804 trading days. This seems to be quite a few shares out short, which are now facing the current good news....with a stock price appreciation, these shares may need to be covered which is a bullish statistic on this stock. This stock does not pay any dividend and no stock splits are reported on Yahoo. This stock appears to have been trading lower since June, 2001, when it peaked at $35.00/share, this trend appears to have been broken in mid-July, 2003, when it broke through a resistance level at $18/share, and then again more strongly in February, 2004, when it broke through a resistance level, again at $18/share. The stock appears to be heading higher and does not appear over-extended in my humble opinion. So what do I think? Reviewing some of the things I just went over, the recent quarterly report was strong and the company raised guidance, which I really like. In addition, Morningstar shows a steady growth in revenue, a growth in earnings not quite as steady, free cash flow being generated, a good if not spectacular balance sheet and reasonable valuation. Add in some shares out short that may need to be covered and a chart that looks strong to me....well I like this stock. Now, if I only had the means to buy some shares....but will sit on my hands until I can sell a portion at a gain! Thanks so much for stopping by. Please remember that I AM an AMATEUR, so do your own investigation of stocks, and consult liberally with your professional investment advisors. If you have any questions, please feel free to email me at bobsadviceforstocks@lycos.com . Hello Friends! Thanks again for stopping by and visiting my blog, Stock Picks Bob's Advice. I enjoy your visits and I love to look at and share ideas about stock market investing. By all means, please remember that I am an AMATEUR investor, I cannot in any way be responsible for any of your trades, and you should absolutely do your own investigation and discuss your ideas with PROFESSIONAL investment advisors before making any decisions. If you have any questions, please feel free to email me at bobsadviceforstocks@lycos.com . I recently got into some discussions about investing on MSN. Let me make clear my belief that there are many different ways of investing in stocks, that this method may not in the long run turn out to be profitable is a possibility, and that other methods may be more profitable is also a real and likely possibility! I hope I have cleared the air on THAT. The market has been behaving well. Today, after a small correction yesterday, the Dow and the NASDAQ have been moving higher. Scanning the lists of top percentage gainers, I came across Watts Water Technologies Inc (WTS) which is, as I write, trading at $29.90, up $1.50 or 5.28% on the day. I do NOT own any shares of this stock. 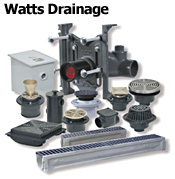 According to the Yahoo "Profile" on Watts, WTS "...is a global manufacturer of safety and flow control products for residential and commercial plumbing, heating and water quality markets." 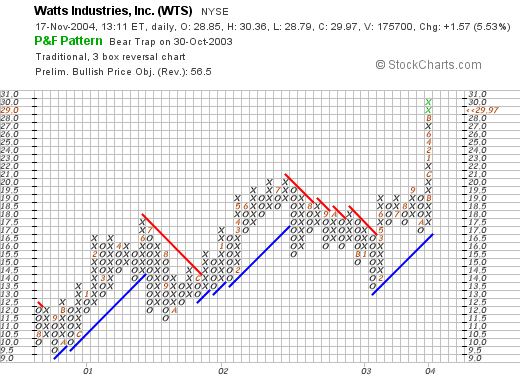 On November 2, 2004 WTS announced 3rd quarter 2004 results. 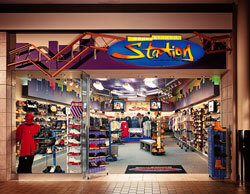 Sales came in at $214.8 million, a $39.3 million or 22% increase over sales in the same quarter in 2003. Net income was $13.7 million, a 54% or $4.8 million in crease compared to the comparable 2003 3rd quarter. This company has been busy making acquisitions, but clearly they appear to be handling these purchases satisfactorily, in my humble opinion. How about longer-term? Taking a look at the "5-Yr Restated Financials" from Morningstar.com, we can see that revenue has grown strongly from $261 million in 1999 to $705.7 million in the trailing twelve months. Earnings per share have grown from $.56/share in 1999 to $1.21 in the trailing twelve months. Dividends have also increased from $.18/share in 1999 to $.25/share in the TTM. Free cash flow, while not increasing, has been steady ranging from $35 million in 2001 to $30 million in 2003. The company, according to the Morningstar.com data, has $149.4 million in cash and $331.1 million in other current assets. These are compared with $172.3 million in current liabilities and $229.9 million in long-term liabilities. This looks adequate if not spectacular. How about valuation questions? For this I like to turn to Yahoo "Key Statistics" on WTS. Here we can see that this is a mid-cap stock with a market capitalization of $967.03 million. The trailing p/e is reasonable at 19.47, and the forward p/e is nicer at 16.33. They have this company down as a PEG of 1.33, but with the current earnings results, I suspect this is currently closer to 1.0. There are only 32.35 million shares outstanding with 20.20 million of them that float. Yahoo reports 377,000 shares out short representing 1.87% of the float or a bit heavy at 4.833 trading days. The company does pay a dividend of $.28/share yielding 0.99% and the last stock split reported on Yahoo was a 2:1 split in March, 1994. With this chart, we can see that the stock appeared to be slowly appreciating between 2001 and July, 2002, when it broke through a support level at around $17/share dropping to $13.50 around January, 2003, and has traded higher steadily, recently breaking out past $19.50 to its current level. The chart looks strong, perhaps a bit over-extended? So what do I think? 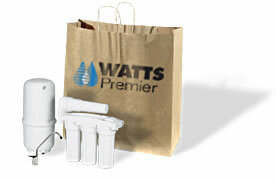 This is a basic manufacturing company which has recently been fairly active purchasing other companies. They appear to be doing this quite effectively and are growing their revenue along with their earnings, maintaining their free cash flow, having an "adequate" balance sheet (imho), and what appears to be reasonable valuation. I like this stock even though it is not in the medical field where I have had some success around here, and would be in the market to purchase some shares if only my trading system allowed me to add another position. I am close to a sell point for a couple of my issues, and I may be in the market soon! Thanks again for stopping by! If you have any questions, comments or words of encouragement, please feel free to email me at bobsadviceforstocks@lycos.com .